The United States has been falling behind when it comes to the fastest computers. Since 2013, the fastest computer in the world has belonged to China, in 2016, China took the Number 2 spot as well, and last year the third fastest computer was built in Switzerland. But that might finally be about to change, as the world’s new fastest supercomputer is now online within the borders of the United States. The supercomputer is named Summit, and resides in a facility at the Oak Ridge National Laboratory. It can perform around 200 quadrillion calculations per second, which makes it about a million times faster than a typical home computer and about twice as fast as the current world record holder. It’s made of around 37,000 processors, and takes up as much space as two tennis courts. But what makes Summit so unique is what it’s designed to do. 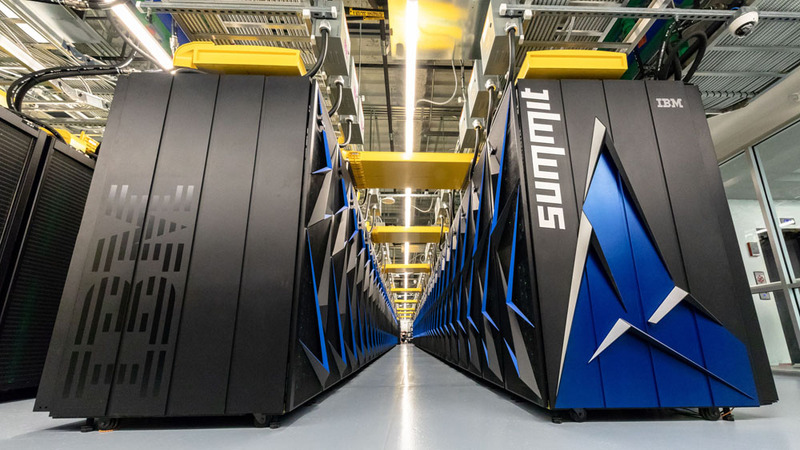 Unlike other supercomputers, like the current record holder Sunway TaihuLight, Summit is geared specifically toward artificial intelligence. The computer comes equipped with 28,000 graphics processors, which are optimized for machine-learning algorithms. Artificial intelligence is being applied in pretty much every field, from image recognition to autonomous driving to video games. Machine learning is also making breakthroughs in science and tech fields, which means a supercomputer that can run the world’s most powerful machine-learning algorithms is an invaluable asset. With the powerful capabilities that Summit can offer, researchers can apply machine learning to problems in astronomy, chemistry, and biology. For instance, Summit could be used to analyze images from telescope surveys to pick out objects of interest. Or Summit could be used for complex DNA analysis or to figure out the structure of proteins. The goal of both the United States and China, as well as several countries in the European Union, is to build an ‘exoscale’ computer, capable of one quintillion calculations per second, five times as many as Summit is capable of. The United States’ ambitions rest on Summit’s successor, a computer named Aurora scheduled to be completed in 2021.